SMS marketing has quickly grown to be one of the most preferred forms of communication to reach customers instantly. But to reach the right target audience requires businesses to have a readymade list or more often called as Opt-in list. Opt-in list gives businesses a clear picture on the number of customers who are interested to hear from them about offers, promotions, future campaigns, discount codes etc. But what if you are a new business and you do not have a readymade list? This makes it difficult to reach customers. If you are a new business trying to grow your opt-in list, many marketing strategies help you reach larger audience and making them to choose to receive your communication by subscribing to Opt-in marketing list. SMS marketing is not very easy since it’s a permission-based marketing with customers wanting to hear from businesses about offers, discounts etc. If messages are triggered to the customers who are not a part of opt-in list, customers can actually raise issue about it and sue the business for wrongful communication initiated. Most of the businesses ask for email addresses of the customers as one of the mandatory requirements to be filled for signing up on their app or website. Businesses can use these email addresses since they have been verified while signing up as a starting place to promote text message marketing. They can promote their text message campaigns by sending emails to customers and asking to Opt-in to enjoy benefits. Provide clear instructions in the same email on how customers can Opt-in for receiving information about offers etc. from the business. It’s highly important for businesses to highlight the benefits that customers will be able to avail if they sign up for your Opt-in list. For example: Get exclusive user access to discounts, early access in case of future sales etc. Mention the number and message that needs to be sent from the customer’s mobile number for achieving a successful Opt-in. For instance, mention “OPTIN” to 57676 to start receiving information on offers, future promotions etc. Social media plays a huge role in educating customers about products, different offers etc. But by over feeding the information across various social media channels, businesses will not get the desired results when it comes to customers choosing for receiving information via text message. Businesses can promote their upcoming campaigns and mention the clear details to customers on how they can opt-in for text message if they want to hear from you about current offers, discount coupons etc. It’s highly important to maintain a consistent approach by keeping same number and details on how to subscribe for Opt-in list across various channels. It could be billboard, leaflets, Social media platforms like Facebook, twitter, Instagram, Pinterest, website, radio channels, in store signs, television and any other channel that the businesses uses to reach its customers. It’s also important to train your workforce to answer the queries efficiently if customers have any questions about subscribing to an Opt-in list. Though your social media platforms may post about upcoming sales and ask customers to sign up, not all of them would want to Opt-in. Let’s face it, we are asking for a customer’s personal contact number and some might be skeptical to provide it for a number of reasons. Hence to make it more appealing and attract more number of customers to opt-in for receiving messages, Businesses need to go that extra mile. They need to build campaigns keeping in mind that they need to attract as many users as possible to build an opt-in SMS marketing list for future use. It’s always good to promote that customers will get extra discounts and benefits if they sign up for your message marketing programs. Businesses need to make it extra clear that these benefits are available to users who opt-in for the message programs. This gives the extra push to make customers want to opt-in for receiving messages. As seen with many businesses, customers like getting exclusive offers. It need not be completely free. Businesses can always promote a few discounts which will make customers choose for Opt-in list. Promotional campaigns can be run giving a common code such as RIDE10 that needs to be texted from the customer’s registered mobile number to the business to avail 10% off on the next 3 rides. This makes customers choose to Opt-in and also increases revenue for the businesses making it a total win-win formula. Many businesses have tried this option and found excellent results when they have promoted the same offer across various channels increasing the chances of more people Opting-in to receive communications from the business. 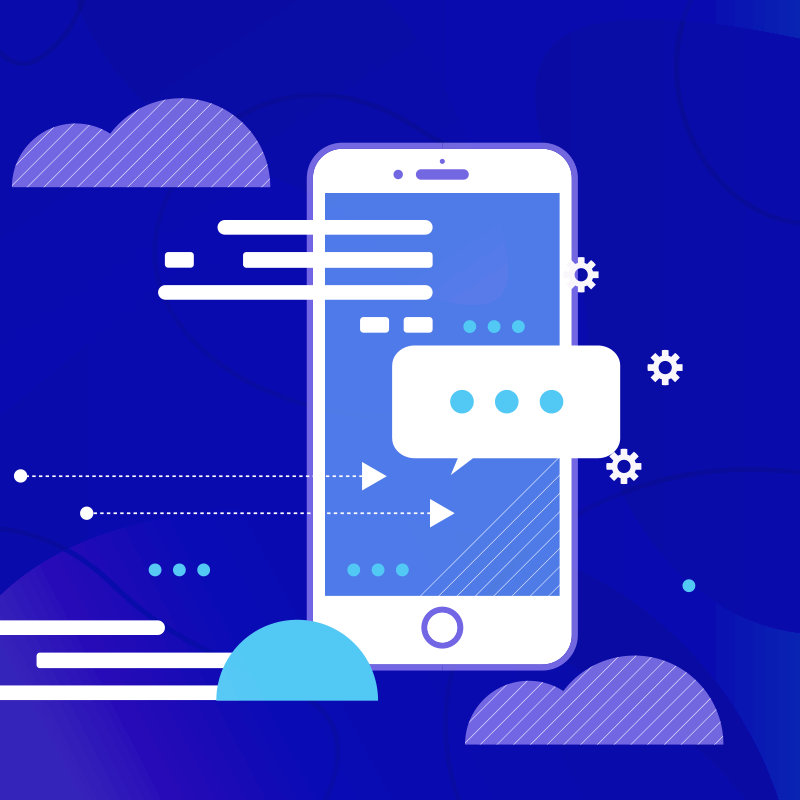 Also known as Text-to-win messaging campaigns, these are tried and tested ways of increasing the numbers of customers to Opt-in for receiving ,marketing message on their mobile numbers. Businesses usually can configure a particular keyword or reply for the customers to respond and successfully enter the contest & win the prize. Businesses can ask and promote a question across multiple channels, provide multiple choice which also act as keywords for the customers to respond with. Keywords configured could be as simple as “A”, “B”, “C”, “D” which the customers can easily text to the number provided and successfully enter the contest and avail a chance to win the contest. Many companies have found this type of marketing as a great way to get users to Opt-in for receiving marketing messages. Customers are mostly cynical while providing businesses with their personal mobile number with the fear of getting bombarded with huge number of promotional messages in their inboxes . This gets on the nerve of customers and find it annoying at first. But more customers feel trapped if businesses do not give an exit route for the customers who have signed in. This leads to customers frustration affecting the brand in a negative way. Businesses must ensure to provide a opt-out option so that customers feel safe opting-in for receiving messages. This shows that businesses are providing the freedom to customers to opt-in or opt-out according to their convenience. Opt-in SMS marketing is a unique way of getting a target audience. This not only provides businesses insights on customer preferences, it helps them plan their campaigns better based on audience preferences. But they need to be extra careful while sending messages for the customers from opt-in list ensuring they have subscribed to receive messages since the regulatory compliance is quite strict for sending promotional messages to users who have not subscribed for the same. Kaleyra is one of the global leaders and provides an easy-to use cloud-based messaging platforms. With its strong network operator connections with 800+ operators worldwide, businesses can now concentrate on their products and campaigns while Kaleyra handles all the regulatory compliance issues. Drop us an email at sales@kaleyra.com to know more about our products and services. Our team will be happy to assist you!